Yes, it's done! Finally! The wall hanging is complete. 65 hours and many bars of chocolate later .... but, I am pleased with it. I like the colours and the balance. I know its quite representational, but ... that's me! 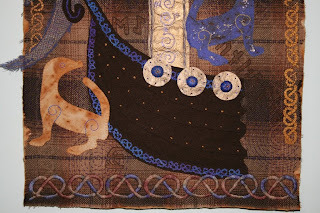 This is my piece that contains mostly hand stitching, and boy ... was there a lot of it. So hopefully the next assignment will be quicker with more machine stitching. 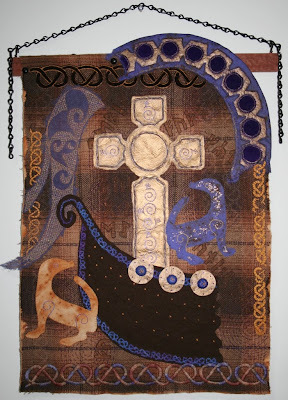 My source was Anglo Saxon & Viking metalwork and art, so I used colours that were muted as their fabrics would have been rustic and woven. I've used rusted osnaburg as a backing fabric with a wool plaid as the main ground fabric, with purple/blue and gold to represent the wealth of the kings who acquired the fantastic metal work that inspired me. It's then secured to a length of jarrah wood with black upholstery tacks, and hung by two hooks and a black chain. I'm now just tallying up the cost of it, and finalising the instructions to make it and then I can sit back and catch my breath. 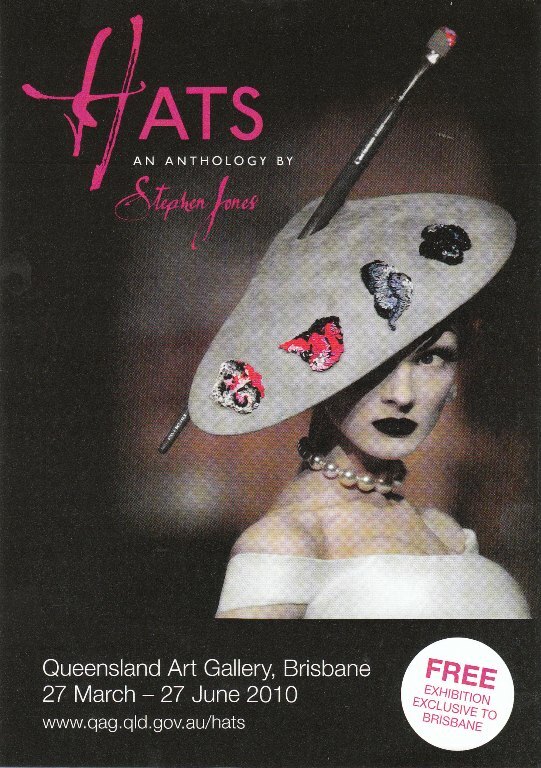 Next step .... design a set of accessories. Since the last post I did attend the Craft Fair at Perth Convention Centre last week. I go every year and am always waiting to be bowled over by something new and exciting, but it seems there's just nothing new out there. Have we been saturated with craft, or is it just me ?! Where's all the embroidery and textile work? 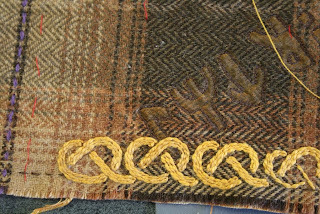 Years ago you used to see lots of hand stitching and heirloom work ... where's it all gone? I'm hoping to go to Brisbane in June to attend the Textile Fair over there. Unfortunately its not coming to Perth, so it means a 5 hour flight ... hope its worth it. I'm hungry for idea's and stimulation. Thank God for the internet!! 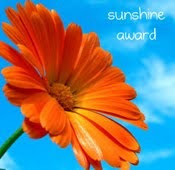 Wow ... April just flew by and I only managed 3 blog posts. I can't believe how fast the weeks are whizzing by, and the years too. I got an email from SST telling me my C&G registration had expired and I needed to re-register to continue the course. Panic set in !! I really do need to get cracking and finish the course, I'm so close, so its been head down and bum up for the past few days. Since my last post I've been mega busy with general day to day things and not had much time for sewing. 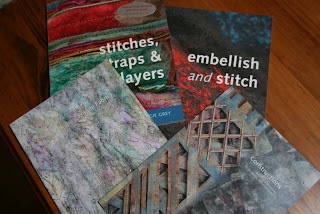 I've also had a birthday recently and hubby bought me 4 new textile books. The rest of the family gave me new pj's, a gorgeous lilac fleecy dressing gown, and massive fluffy slippers that make me look like the big Yeti ... so I'm now spending my evenings curled up in front of the tele, snuggled in my new night-attire, cuppa tea in hand and reading my books and dreaming of wonderful textile things I can do. 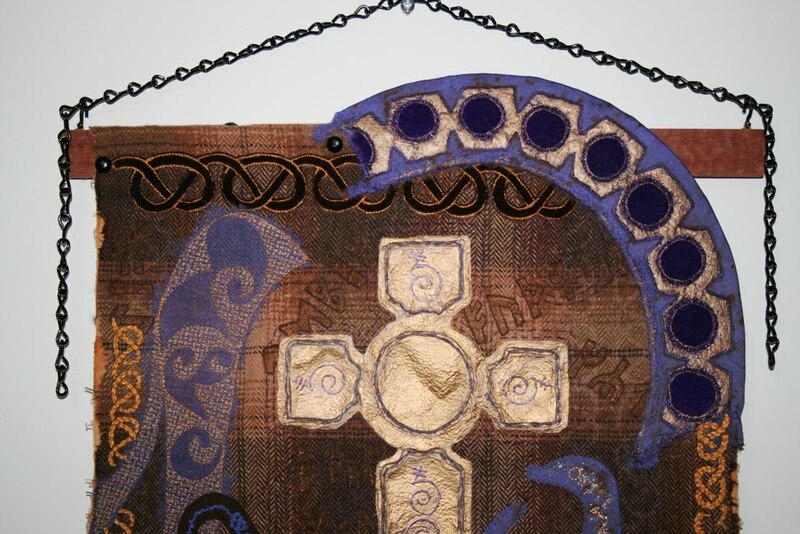 But of course, there's still the wall hanging to finish. 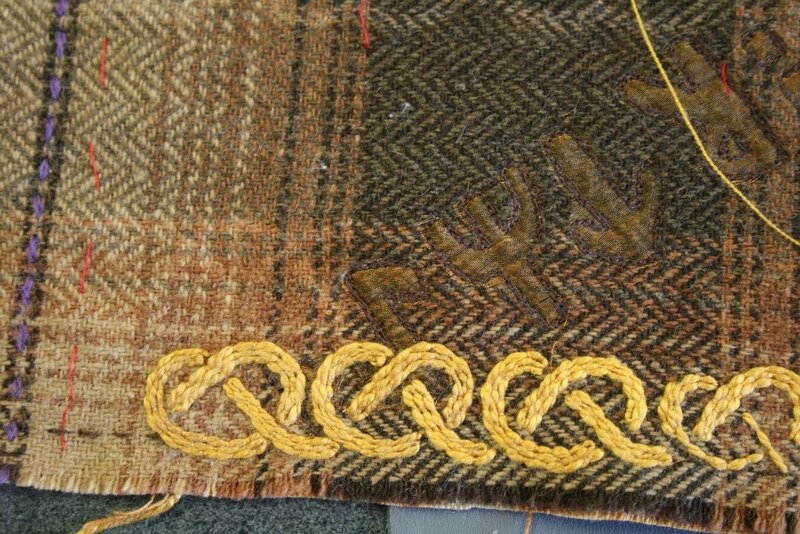 One requirement of the log book is that one of the finished pieces has to include hand stitching, so I'm throwing as much of it as I can into this piece and have just spent 3 days couching a celtic knot pattern along the side edges of the hanging. Why do I always pick the most time consuming methods ??? ?